The Cowboys are back at practice after taking a day off on Tuesday. Depending on how Jason Garrett treats tomorrow’s practice, today could be the last real practice out in Oxnard. Today’s practice is scheduled for the regular time, but tomorrow’s is a morning practice and will be the last one before the team leaves Oxnard for good. Garrett just may treat that as a glorified walk-thru leaving today to be the last real practice. We’ll see, but either way, the Cowboys time in Oxnard is just about over. Today’s practice is scheduled to start at 4 pm PT/ 7 pm ET. 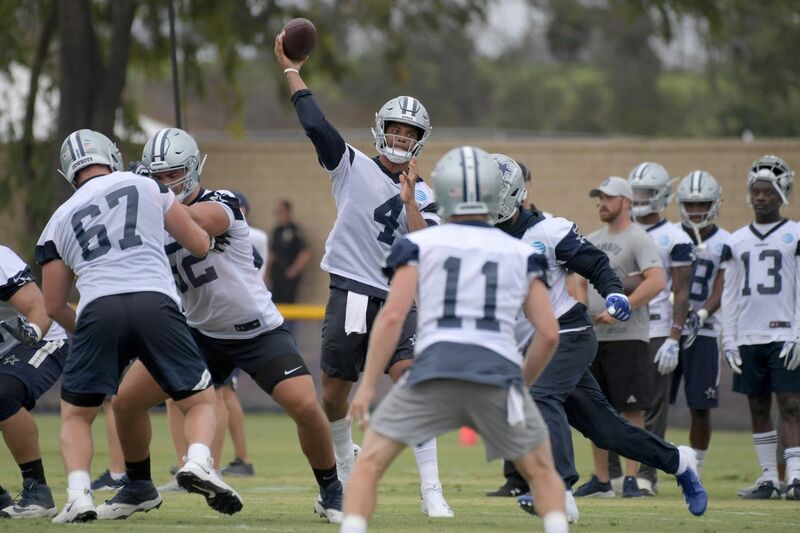 Use this as an open thread for any Cowboys related topics during today’s practice and follow what’s happening in Oxnard via our live Twitter Feed. You can activate the Twitter feed by clicking on the “Launch Twitter Feed” button below (it may take a few seconds to show up). The Feed will occupy either the right side (top right) of your screen on most devices or the top portion of your screen on extra-small devices. Once launched, you can hide the Feed by clicking on the “Hide” button, which will remove the Feed, leaving nothing but an “Expand” button behind, which of course brings it back if you so wish. Have fun today!If the twitter feed above doesn’t work for you for some reason, here’s an embedded version of that feed that you can follow.